Anschutz Motorsports has many recreational sport accessories in the store year round. Stop in today! Anschutz Motorsports carries a variety of tire brands including Dunlop, Michelin and Shinko Brand Tires! 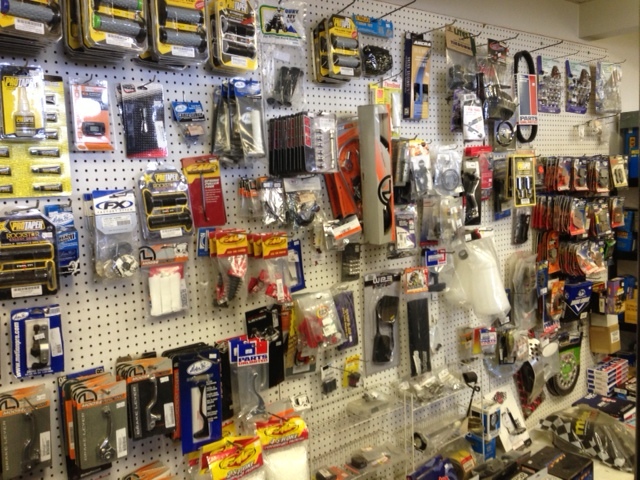 We also carry a variety of Recreational Vehicle parts. If we don’t have it in stock, we can order it for you! Anything from nuts and bolts to handlebars!